REHOBOT cylinders are designed and manufactured to operate in the harshest of environments. 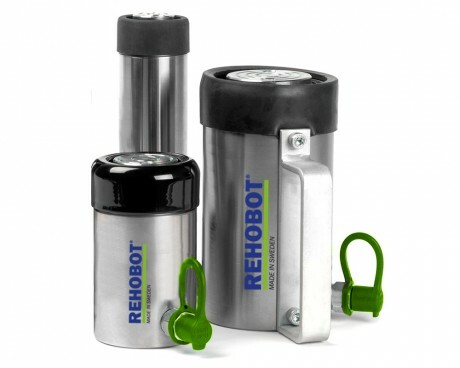 The extensive range of cylinders available may be used effectively; to pull, to push or to lift efficiently. 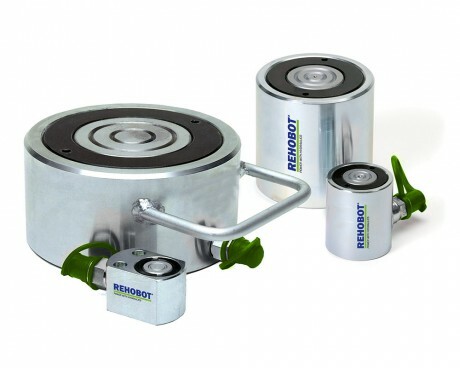 Whether for precision works, or for heavy duty (500 ton) applications, you can rely upon the performance of the REHOBOT brand. Available with a wide range of supporting accessories, optimizing operational use. When looking for safe, reliable results, to save both time and costs, you can always trust upon the REHOBOT performance. Full after sales and support services available. What are your different cylinder series and their capacities? CF/CFU – single acting push cylinder with spring return. Capacity 5-24 tons. CFA – aluminium push cylinders with spring return. Capacity 23-95 tons. CFC – compact single acting, push cylinders with spring return. Capacity 5-95 tons. CL – low push cylinders, gravity return. Capacity 5 tons. CLF – low push cylinders with spring return. Capacity 5-202 tons. 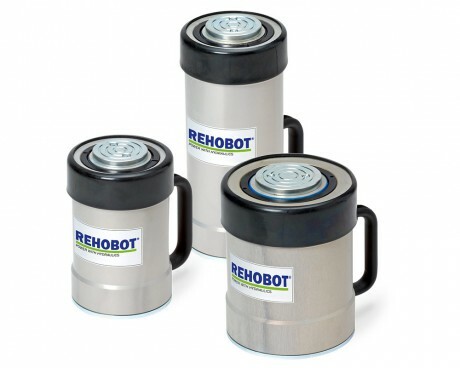 CX – single acting push cylinders for high loads. Capacity 256 tons. CSF – stainless steel single acting push cylinders with spring return. Capacity 11-88 tons. CH/CHF – single acting steel hollow bore cylinders. Capacity 6 tons. CHFA – single acting aluminium hollow bore cylinders. Capacity 13-103 tons. CD – double acting cylinders. Capacity 25-82 tons. CPF – pull cylinders. Capacity 5-11 tons. Please note that all figures specified are metric tons. Which hydraulic cylinder should I select? The choice of cylinder surrounds working operation, pressure range, stroke and external dimensions of the cylinder concerned. When selecting the cylinder for application/s, consider the range of supporting accessories; extension tubes, pressure heads etc. Operating frequency should also be taken into consideration; eg to use the cylinder in high-cycle operation/s, a steel cylinder is generally recommended. Always consider the operating pressure range, whether for new and/or existing platforms. Please do not hesitate to contact us when it comes to selecting the right cylinder. What is the difference between aluminium, steel and stainless steel cylinders? Our cylinders are manufactured from aluminium, steel or stainless steel, utilizing the very best materials and processes to ensure optimum performance and build quality. Aluminium provides superior performance in the relation between capacity and weight. This makes comparable products around 50% lighter than cylinders manufactured from steel. High strength aluminium ensures a longer life expectancy when compared with other brands. Steel is a suitable material when you need the highest possible durability and life-span. We use high strength alloy steel design for multi-purpose use. The pistons are hard chromed, making them resistant to wear and free of rust. The cylinders are electro-zinked for increased corrosion resistance. Stainless steel is the best choice when you need additional resistance against corrosion. eg. 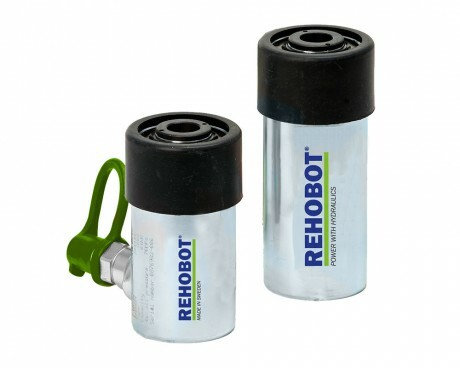 for operation in corrosive environments, or for use outdoors.